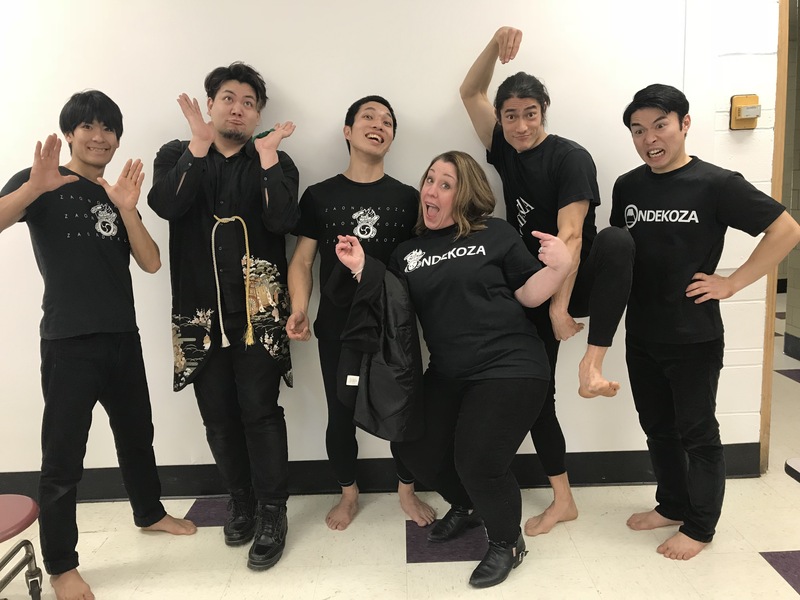 Sterling, IL was the final stop of Ondekoza’s nine Midwest states for their Arts Midwest World Fest tour. The first day of the final week in Sterling started with attending the Percussion Palooza event at Rock Falls High School, where high school bands and the Alumni Percussion Band displayed awesome performances. 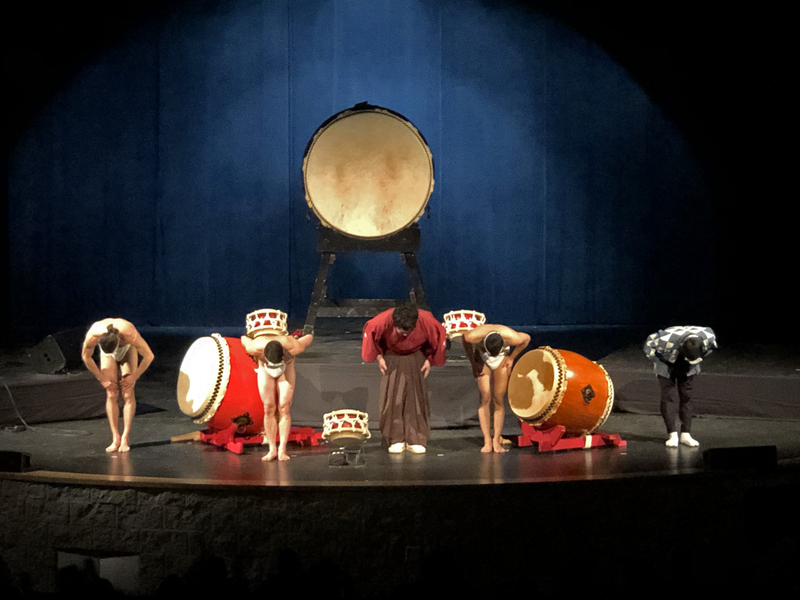 In return, Naoto played Taiko and and Yuji played Shamisen to give a taste of what the community was about to see this week. First workshop we drove to Port Byron, 40 miles away, where a 3M facility is located. Ken Carlson, Senior Program Director of Arts Midwest World Fest, came to Riverdale Middle school to attend the workshop. 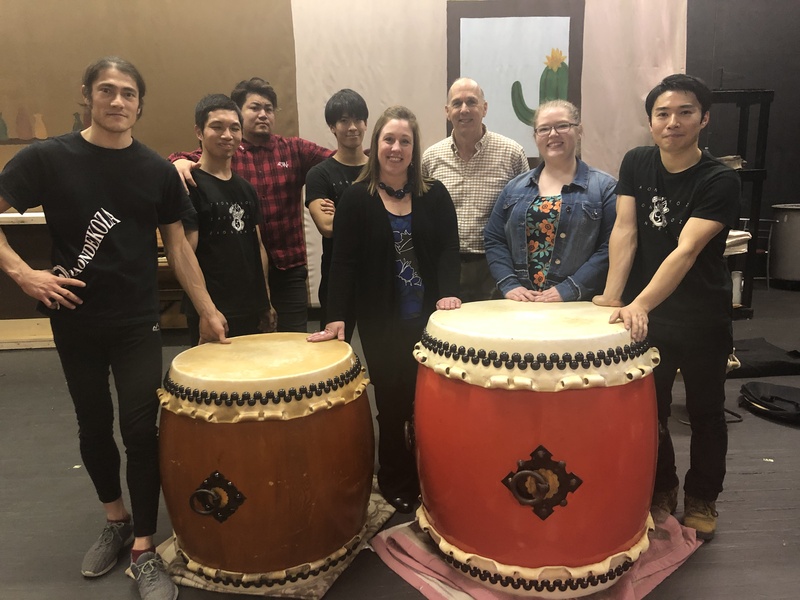 I’ve seen hundreds of Ondekoza workshops during the tour, and I still get excited not only to see the powerful Taiko drummers, but also to see each students faces with amazement. No one expected to see, hear, and feel such power and strength. This letter demonstrates the mission of Arts Midwest World Fest. Workshop at Madison Elementary School in Dixon, IL. 650 students were totally amazed, intrigued, and have become instant fans of Ondekoza. A student hitting Taiko with all of this might. Naoto encourages him to keep on drumming. Almost 800 students bussed in from several schools in the area! Students are given two drum sticks and asked to drum at full force for one minute without stopping. Everyone thinks it’s no big deal and they try. Past a half minute some of them stop and shake off their tired arms. They all express how difficult it is to drum for only a minute and realize the drummers’ fitness and endurance. Older students and music students are given more intricate rhythmic lessons. Q. Why do you wear no shoes? 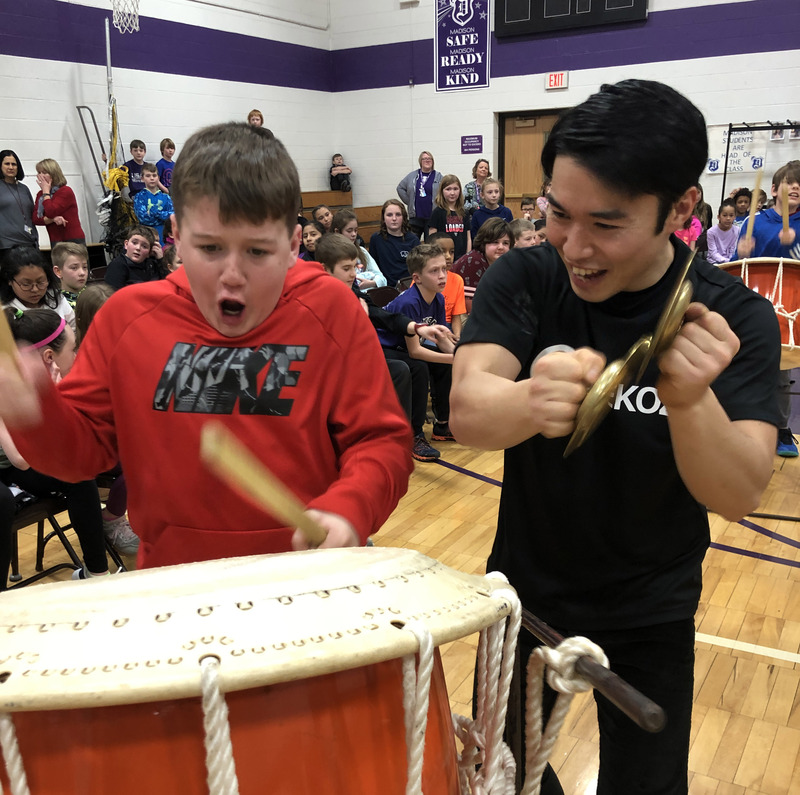 A: Taiko drumming requires strong core and leg muscles to support the upper body. Bare feet allow the drummer to avoid slipping and helps to grip the ground tighter. Q. Where else have they traveled to perform? A. East and west coasts of USA, South America, Europe, Africa, Middle East and most of Asian countries. I have spent 10 weeks with Ondekoza. Not even once did they ever mention they were tired. No matter how cold or how late their obligation lasted night before, they run 10 km every morning at 6am. Ondekoza expects from each member commitment, strength, endurance, coordination, synchronization and support. That’s why every performance is perfect. This second half of Ondekoza’s tour we met close to 13,000 students, teachers and community members. This week alone we met close to 5,000 students. We must have met 25,000-30,000 people in 9 states and introduced Ondekoza and Japanese culture. It was a rewarding experience. If some of the students show any interest to explore foreign cultures, we reached our goal. Final bow of thank you and goodbye to the biggest audiences on this tour.